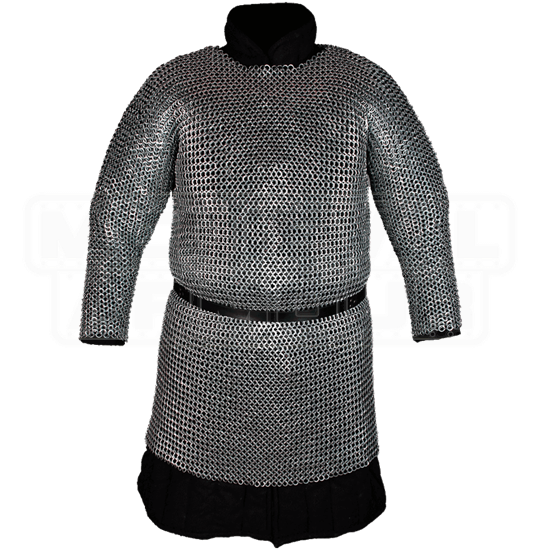 Wearing the Richard Steel Flat Ring Chainmail Hauberk over your padded gambeson, you are robed to represent and, should the need arise, defend your kingdom. 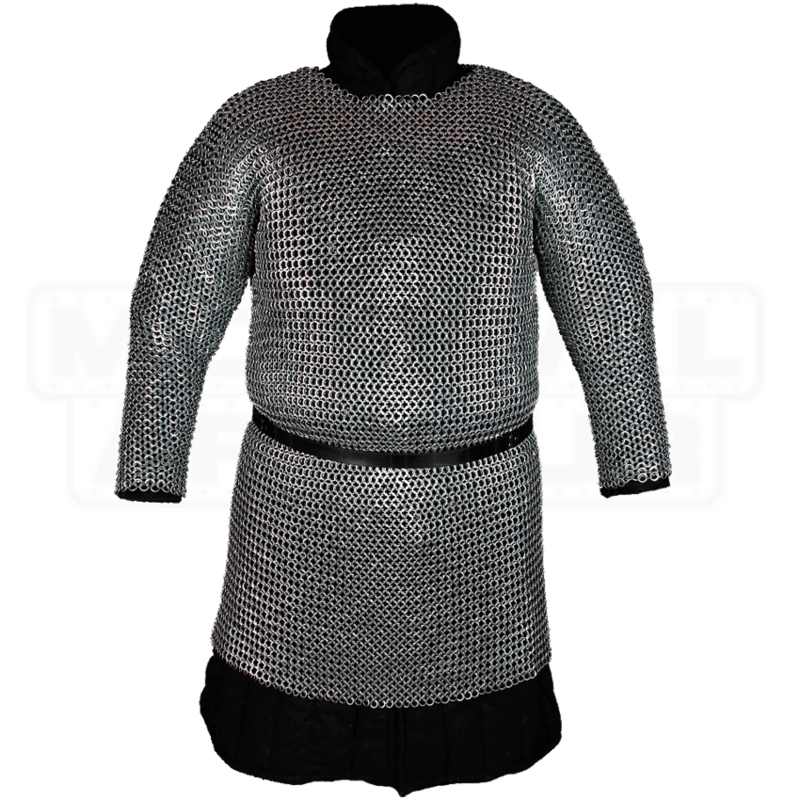 This steel chainmail tunic has long sleeves and a knee-length construction. Galvanized with zinc to create its shiny look and protect it from rust, the flattened steel rings are woven together in a traditional 4-in-1 pattern. A great addition to any heavy armour look, this steel chainmail hauberk suits knightly characters as well as warriors from fantasy. Wear a belt with the chainmail tunic, as shown but sold separately, to help distribute the weight of the steel armour. Add protection and style to your LARP outfit or medieval costume when you wear this long sleeve hauberk on your next historical or fantasy adventure.